The transcription and translation (extended and revised) are from KBM, 151 and KBME, 152–3). So the reviewer must have been briefed by one of the performers, presumably Mahler. See KBM, 151 and KBME, 153. It is possible that the string parts of this work survive: see A-Wn F194.Krzyzanowski.3 Mus. Konzert Gustav Mahler. Ein gewähltes Publikum hatte sich Dienstag abends zu dem Konzerte des Herrn Gustav Mahler, dessen Verdienst die Einführung der Herren Siebert, Grünberg und Kržyžanowski hier ist, eingefunden. Es war nach Walter-Door eines der besten und eines der hier gewiß seltenen Konzerte, in welchem wir zwei Komponisten, Herrn Gustav Mahler und Herrn Rudolf Kržyžanowski kennen lernten. Zuerst Nummer i das Klavierquintett von Rudolf Kržyžanowski, dessen ersten Satz wir bloß zu hören bekamen. Was den Wert dieses Werkes anbelangt, so sind nicht nur die Themen, sondern auch die Durchführung sehr sorgfältig gearbeitet. Das erste Thema ist tragisch, das zweite leidenschaftlich gehalten. Die Durchführung beginnt mit einer Doppelfuge, breitet sich mit leidenschaftlichem Schwunge aus und sinkt allmälig weiter herab bis zum Ruhepunkte, welchen der Komponist sehr geistreich aus dem Mittelsatzthema (Adagio) gewählt hat. Mit dem Hauptthema, welches hier als Trauermarsch auftritt, schließt der erste Satz. Wir können mit Recht behaupten, daß der Komponist mit diesem Quintette ein schönes Werk geschaffen und daß wir ihn einst unter die ersten Größen zählen können werden. Composition Concert for the benefit of the Iglau Gymnasium. A Gustav Mahler Concert. A select audience attended the concert on Tuesday evening given by Herr Gustav Mahler, whom we have to thank for bringing Messrs Siebert, Grünberg and Kržyžanowski to Iglau. Apart from the visit of Walter and Door, it was one of the best of our concerts, and it was certainly one of the most unusual, since it gave us the chance to make the acquaintance of two composers, Herr Gustav Mahler and Herr Rudolf Kržyžanowski. The first piece on the programme was Rudolf Kržyžanowski's Piano Quintet, of which we heard only the first movement. The merit of this work is that not only the themes, but also the development, are very carefully worked out. The first subject is tragic and the second passionate but restrained. The development begins with a double fugue, unfolds with passionate momentum, and gradually sinks down to the point of repose, an ingenious adaptation of the central theme (Adagio). The first movement ends with a repeat of the main theme, which now appears as a funeral march. We can justifiably maintain that the composer of this quintet has created a beautiful work, and that, the time will come when we can number him among the great. Die zweite Nummer (Konzert D moll von Vieuxtemps) spielte Herr Siebert, ein Schüler Hellmesbergers, und machte seinem Meister in jeder Hinsicht nur Ehre. Die kräftige und schöne Bogenführung, der seelenvolle, weiche, doch volle Ton fesselte die Herzen der Zuhörer. Diese Vorzüge sowohl, als die brillante Technik, besonders aber die Auffassung hat Herr Siebert seinem Lehrer Hellmesberger, dessen Weltruf und künstlerische Bedeutung nicht erst erwähnt zu werden braucht, abgelauscht. The second item (Concerto in D minor by Viextemps) was played by Mr. Siebert, a pupil of Hellmesberger, and honored his master in every respect. The powerful and beautiful bowing, the soothing, soft yet full tone captivated the hearts of the listeners. These virtues as well as the brilliant technique and particularly the conception, Siebert has learned from his teacher, Hellmesberger, whose world-wide fame and artistic significance need hardly be emphasised. Der Konzertgeber, Herr Mahler, trat vorerst als Klavierspieler (Wandererphantasie von Fr. Schubert) auf und hatten wir Gelegenheit, seine ganz originelle Auffassung und Spielweise zu bewundern. Man findet es eben selten, daß die vor das Publikum tretenden Musiker, die Tonschöpfung so ganz aus sich selbst heraus wiedergeben und gerade dies ist das Ideal eines reproduzierenden Künstlers. Herr Mahler, the organizer of the concert, next appeared as a [solo] pianist, and his playing of Franz Schubert's Wanderer Fantasia gave us the chance to admire his entirely original interpretation and technique. It is only rarely that musicians come before the public who know how to re-create music from their own inner resources; it is this ability that is the ideal of an executant artist. Die nächsten zwei Nummern 4 und 5, Sonate für Violine und Piano und das Klavierquintett hatten Herrn Mahler zum Autor. Es fällt uns schwer zu bestimmen, welche von diesen beiden Nummern den höheren Rang einnimmt. In diesen beiden Kompositionen finden wir eine imponierende Gedankenfülle, wie auch eine sehr geschickte Ausführung, welche den genialen Komponisten kennzeichnet. Der sehr schwierige Violinpart der Sonate wurde von Herrn Siebert technisch und geistig sehr schön wiedergegeben. Den Klavierpart spielte der Komponist selbst. Über das Klavierquintett bemerken wir nur, daß dasselbe den ersten Preis im Konservatorium zu Wien errang. In demselben sowohl als auch in der Violin-Sonate fiel uns ein entschieden dramatischer Zug auf. The next two works, numbers 4 and 5, Sonata for Violin and Piano and Piano Quintet, were both composed by Herr Mahler. It is difficult for us to decide which of these two works is the better. Both of them show an impressive wealth of ideas and a great skill in execution which reveal him as a composer of genius. Herr Siebert played the very difficult part in the Violin Sonata beautifully, both in technique and interpretation. The piano part was played by the composer. All we need say about the Piano Quintet is that it was awarded the first prize at the Conservatoire in Vienna. We were struck, in this as in the Violin Sonata, by a decided vein of drama. 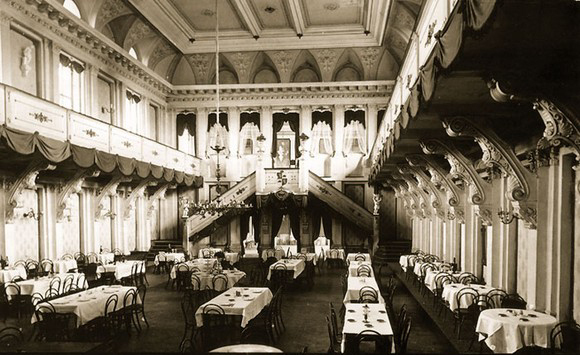 Nummer 6 (Ballade von Chopin) wurde abermals von dem unermüdlichen Konzertgeber in vortrefflicher Weise exekutiert und sehen wir in ihm den würdigen Schüler Epsteins. Den Schluß des Konzertes bildete ein von den Herren Siebert und Grünberg gespieltes Doppelkonzert für zwei Violinen von Alard, welches schön nuanciert und brillant vorgetragen wurde. The sixth piece (a Ballade by Chopin) was played by the indefatigable concert organizer, who once again performed superbly, and showed himself to be a worthy pupil of Epstein's. The final piece of the concert was a Double Concerto for two Violins by Alard, which was brilliantly played, with beautiful shades of expression, by Herr Siebert and Herr Grünberg. Die Aufführung der beiden Quintetts war eine musterhafte und der reichliche Beifall des Publikums nach jedem Vortrage somit auch verdient. The performance of the two quintets was exemplary, and the audience's enthusiastic applause after each item was well deserved. This review is tantalizing, not least because of the terms in which it describes Mahler's already evident gift for interpretation, but it is frustrating that the reader learns more about Krzyzanowski's chamber work than Mahler's, and that a comparison of the review with the programme raises and leaves unresolved a number of questions about both the 'quartets'. 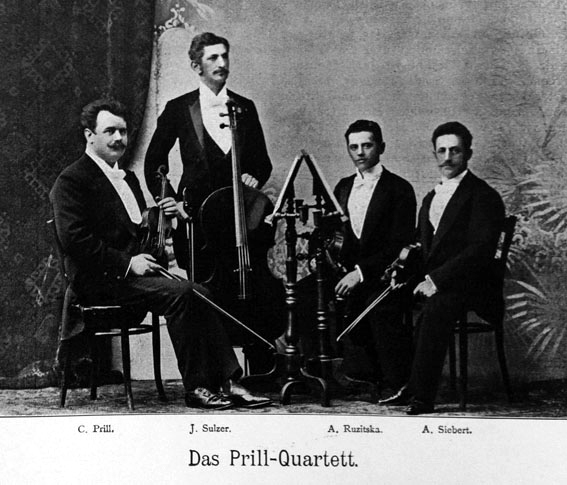 The reviewer specifically identifies Mahler's 'quartet' as having been 'awarded the first prize at the Conservatoire in Vienna',² so unless the writer had mistakenly associated the two works, this offers evidence that Mahler's Quintet and Piano Quartet may be one and the same work. In this context it is particularly significant that on 22 December 1875 the first movement of a Piano Quintet in C minor by Krzyzanowski was performed at a students' concert at the Vienna Conservatoire.³ So, given that both composers had written quintets during the previous year, it seems possible (perhaps likely) that the two 'quartets' listed in the handbill were indeed arrangements of these quintets. 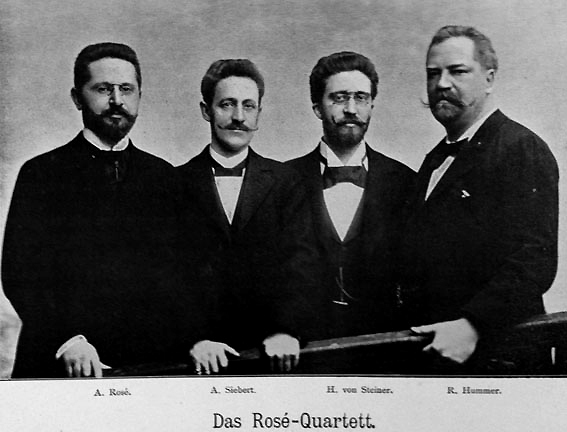 If so, the apparent need to perform arrangements of the quintets is noteworthy, since Iglau had a well-established theatre with its own small orchestra (24 players in 1892), and Mahler had close contact throughout his life with his teacher, the Stadtlicher Musikdirektor and sometime Musikdirektor at the theatre, Heinrich Fischer (1828–1917),⁴ but local professional schedules may have precluded the participation of any of the town's cellists, and the involvement in the concert of local musicians is not recorded in the review. Who played the piano parts? In the absence of any indication to the contrary in the handbill or review it must also be assumed that the 'indefatigable' Mahler played the piano throughout. Who played the viola in the two quartets? Perhaps the second study violinist, Krzyzanowski, though at the December performance of his work he had played the piano part. Which Chopin Ballade was heard? Perhaps most probably No. 1 in G minor op. 23, as it was the only one on the syllabus of the Vienna Conservatoire. How many movements of Mahler's 'quartet' were heard? In the case of Krzyzanowski's work, the reviewer reports that only the first movement was heard, but tantalisingly gives no clue as to how much of Mahler's work was performed. Of the performers, Rudolf Krzyzanowski (1862–1911) was a life-long friend and colleague, though Mahler was probably closer to Rudolf's brother, the author Heinrich Krzyzanowski. No doubt it was Rudolf - having studied violin at the Conservatoire for a number of years - who recruited Grünberg (with whom he had performed on at least a couple of occasions) and Siebert. 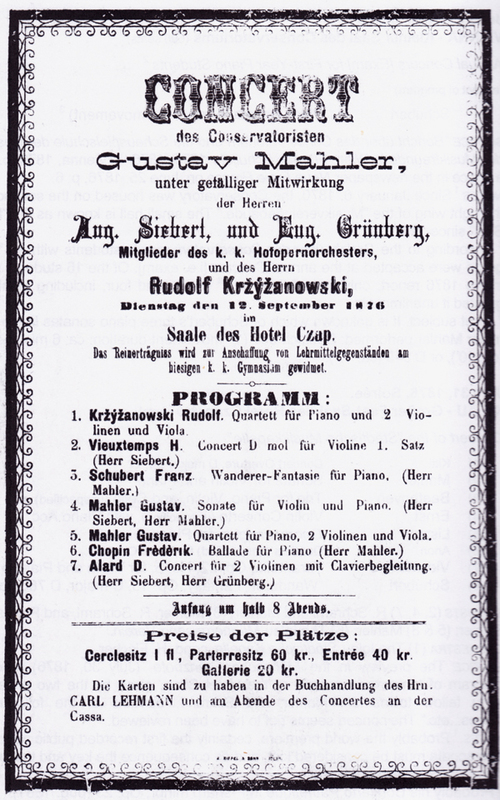 It is interesting that both Siebert and Grünfeld were described on the handbill as members of the Hofopernorchester although Grünberg is not listed at all as a member in WBWO and Siebert (1856–1938) did not formally join until 1. 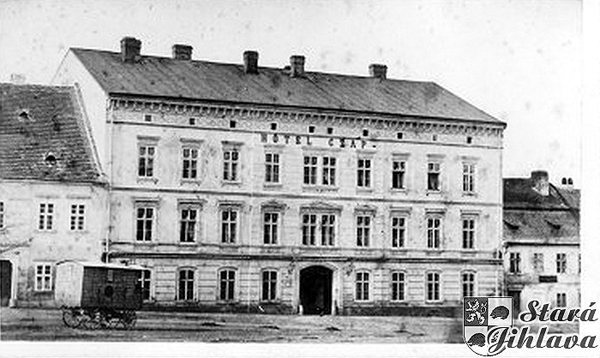 March 1878 (WBWO, 92). He subsequently had a long career with the orchestra (and the Vienna Philharmonic) and from 1899 was Director of the Ballet Orchestra and solo violinist before retiring in 1925: so from 1897–1907 he would have worked regularly with Mahler. He was also active as a chamber musician and was a member of the Rosé Quartet (1889–97) and Prill Quartet. HLG1, 36–38; DM1, 35, 278–79; Martner2, 15–17.